$25 for every 20 hours you play is going to add up fast. 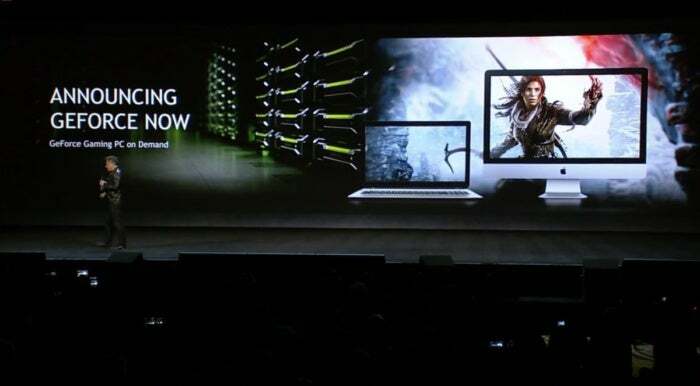 Considering how much money Nvidia has spent on its Grid service (which was recently renamed to GeForce Now in October), Wednesday’s announcement at CES felt almost predictable: The company’s officially bringing GeForce Now to the PC (and Mac!). Until this point, Nvidia’s game-streaming service was confined to the Shield—whether the earlier mobile version, the tablet, or the current Android TV incarnation. 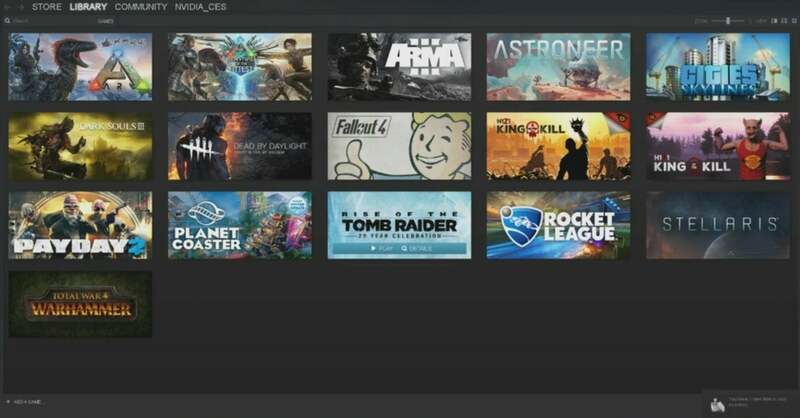 Now you can access the full library of games as if they were playing right on your PC. Of course, they’re not playing directly on your PC. Like OnLive, GeForce Now streams games over the internet. It routs your mouse-and-keyboard inputs to a remote PC running the game, and then shoots the video back to you with as little latency as possible. It’s an excellent concept—no need for your own graphics card! If you have a solid internet connection, you could play all of the hottest current titles on your six-year-old laptop or whatever. I actually did this with OnLive back in 2011, playing all the way through The Witcher on a 2007-era MacBook Pro. And that’s who Nvidia is targeting. In theory, anyone who can stream Netflix can now also play graphics-intensive PC games. That’s a lot of people, in case you’re wondering. Just check out how many people in the Steam Hardware Survey are rocking an Intel graphics card. Nearly 20 percent of survey participants run on integrated graphics. Nvidia’s demo included a look at the GeForce Now interface. OnLive died a couple of years ago though, and despite Nvidia’s backing, GeForce Now doesn’t look like it’ll fare too much better. It has a much better selection than OnLive did, with Nvidia touting Fallout 4 and the upcoming Mass Effect Andromeda among the games available to subscribers—but to play them, you’ll first have to deal with technical hurdles. Depending on how sensitive you are to input latency, you may or may not find GeForce Now completely unplayable. And there’s no way to fix that. Not fully, anyway—the laws of physics govern how fast a signal can bounce to a server and back, meaning there’s always going to be some delay between your input and the corresponding video output. Shooters are particularly painful over any sort of streaming network for this reason. Worse still is Nvidia’s pricing. If you thought it’d be cheaper to rent through Nvidia than to buy through Steam, you’re sorely mistaken: It’s $25 for 20 hours of gaming, or more than a dollar per hour. Ouch. Obviously I’m an outlier, seeing as I review games for a living, but at those rates I’d be paying $50 per week to play. Give me three months and I could buy a brand-new GTX 1080 with the same money. OnLive’s $10 per month subscription seems like an astounding bargain in comparison. We’ll have to see whether Nvidia rethinks its pricing plan in the coming weeks—even a low-cost subscription with optional premium payments for newer games (like Mass Effect Andromeda) would be better than this burdensome flat-rate model.